What exactly was in that Dasani bottle? Oh Cappy, you had to sink this low? Bo Obama just wanted to celebrate his birthday in peace. Instead, his clearly dysfunctional brother Cappy -- perhaps drunk on power, or vodka -- snuck treats and hoped that no one would notice. For shame, Cappy. For shame. 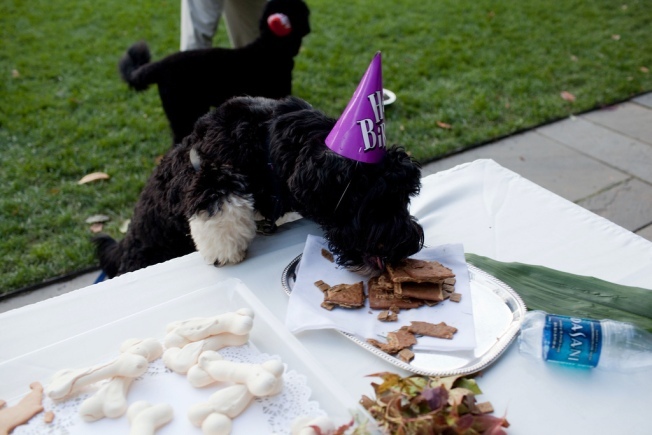 This surveillance-style photo was snapped during Bo's first birthday celebration in the White House Rose Garden on Oct. 9. That means that all of America knows Cappy's secrets now. 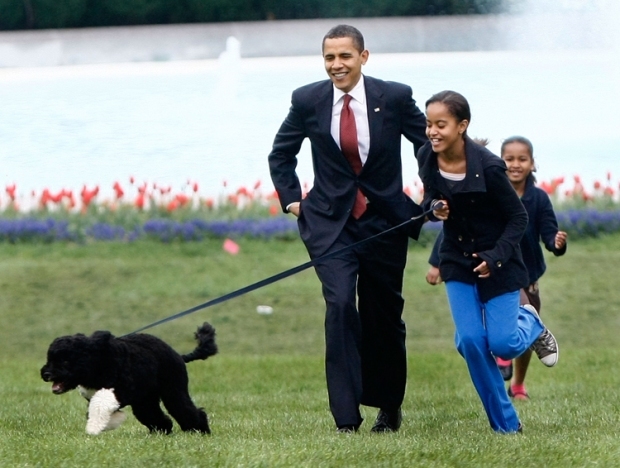 Listen, we know Bo had a difficult childhood, being adopted once and returned to the breeder before finding his new presidential home. But Cappy, you're not helping Bo get over his troubled past when you only show up on his first birthday to make a scene. Next thing, you're going to tell us that Bo forced you to keep on that purple party hat. Or that he told you it's totally OK to relieve yourself in the White House rose garden. Watch it, or you're going to end up with a Neck Cone of Shame. We hope Bo's other siblings know how to behave themselves.